as a solo traveler, I am constantly faced with a strange question: how can I effectively document where I am/what I’m doing? sometimes I’ll ask people who speak English—aka almost everyone, it seems—to take a photo of me in front of something. sometimes I’m with someone I know here and they can take a pic. most of the time, though, it’s a selfie. so, in the past few weeks, I’ve taken a lot of them. 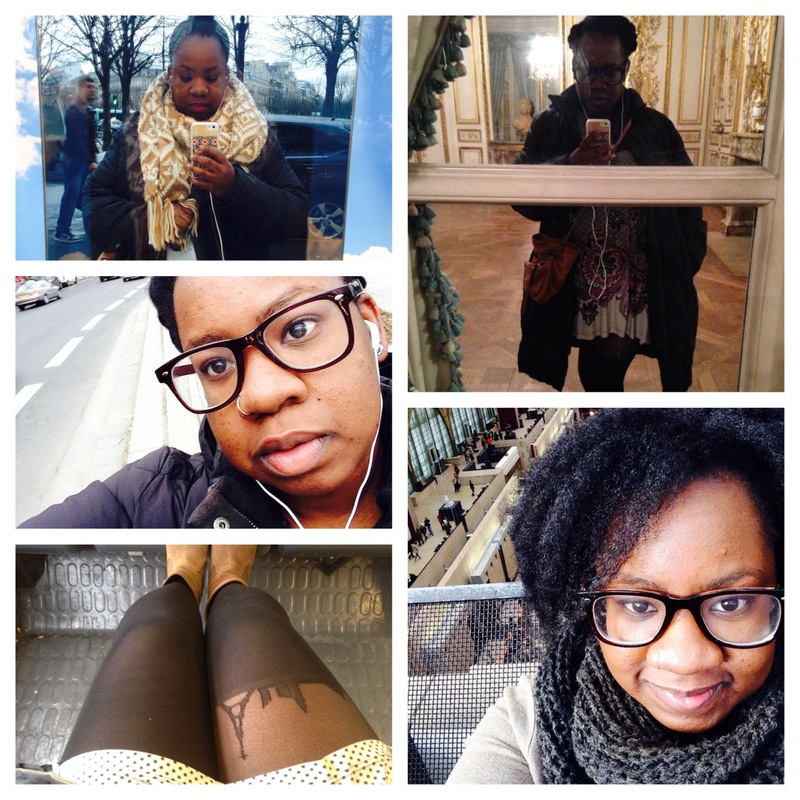 here are some of my favs from january, taken (clockwise from top left) on the champs-elysees, at the musée carnavalet, at the musée d’orsay, on the RER train and on a paris street . yes, that is the eiffel tower on my tights. thanks asos.